The attraction of teaching art to prisoners belongs to a select group. Correctional facilities are not generally associated with creativity and the serious production of artwork. For the past two years, I’ve been teaching art to prisoners in Auckland Prison for six hours a week. My enjoyment and satisfaction in this role have deepened over the past year – so much so that in July, I resigned from my job as the General Manager of Mairangi Arts Centre and am now working 15 hours a week at Auckland Prison to develop its arts programme. The prisoners are always so appreciative that you’re doing something for them. For some, art classes may be the only positive, creative experience they have while they are inside – or indeed, when they were outside prison. The prisoners are great to work with. They are extremely polite and eager to learn, and the cultural diversity and abilities are wide-ranging. My ability to think laterally, to have a practical approach and an appreciation of many forms of artwork are attributes perfect for this style of teaching. 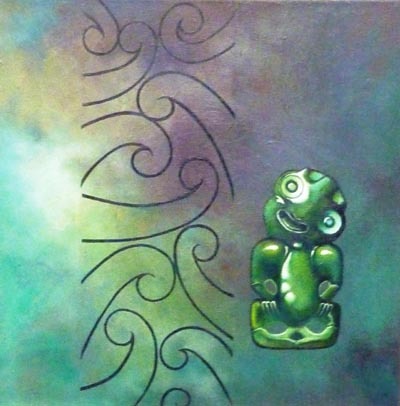 Several spaces are used for creating art in Auckland Prison. One is a multi-use classroom. The other is a visitor area that is used as a makeshift art studio. This meets our needs and art materials in filled-to-bursting cardboard boxes are transported from an adjacent storeroom room each art lesson. A large set of cupboards in another unit serves as the art resource area – again requiring transport to another space. Because of the environment and regulations, these “travelling” art resources are limited – but definitely not limiting. It is often a number 8 wire approach that is needed to produce the artwork. My understanding is that prison art programmes are focussed on having three major outcomes: assisting in rehabilitation, teaching skills and discipline, and developing a creative outlet for personal expression. In addition, we are instigating more and more prison art exhibitions. They have been used as fundraisers for charitable purposes as a way for the men to contribute back to the community. 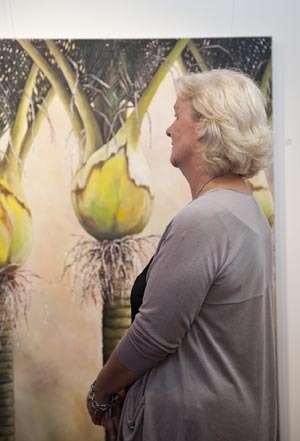 From late 2010, prisoners have attended art instruction sessions, either tutored or self-directed, and focussed solely on developing work for these exhibitions. Art classes are open to all prisoners within specified areas of the prison and they make use of these skills to embellish letters to family members with images and designs, or try their hand at hand-building ceramics. The other major goal of this art programme is giving prisoners something positive to do. The art produced in these arts programmes can yield clues into what a person, who may be verbally inexpressive, is thinking or has experienced. It is used to build self-esteem, working on issues of addiction, violence or anger/stress management. It is also used to help build positive future goals. In addition to this, the community is given the opportunity to engage with and purchase artwork that comes from a unique environment, and is culturally diverse and original. 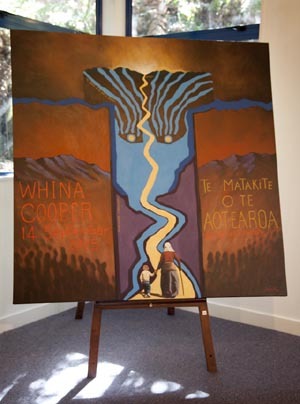 As the former General Manager of Auckland’s Mairangi Arts Centre, a community- based arts facility, I was well-placed to provide opportunities for the prisoners to exhibit their artwork. The community response has been overwhelming and positive to the three InsideOut exhibitions. Mairangi Arts Centre and the Department of Corrections have developed a strong partnership that has benefitted communities through carving projects. They have also developed close links with local school clusters who, for example, provide kapa haka entertainment and catering from secondary school hospitality units for prisoner exhibition openings. Local Rotarians and businesses support the exhibitions, as do local community boards and the Auckland Council. Members of Parliament follow the exhibition with positive affirmation and interest. The support and response is constantly building and wide-ranging, reaching its threads out into the community and weaving a tapestry of community goodwill, tolerance and interest. Positive outcomes as a result of these programmes will benefit everyone. Original generation time 1.6138 seconds.